Green tea skin care is becoming extremely popular. Drinking green tea has been the preferred “favorite” of the Chinese diet for thousands of years and is known for its overall health benefits. Are you familiar with the cosmetic benefits of Green tea for skincare? Several scientific studies have proven green tea shows great promise in anti aging because of its Vitamin C and antioxidant-rich concentration when used topically. Well researched, this amazing antioxidant provides protective strength and is a very useful ingredient in many anti aging products and treatments. The rich level of natural antioxidants (polyphenols) in green tea is believed to be the key to the anti aging qualities it can give to our skin and help with a variety of ailments. The active antioxidant activity of the most potent and powerful antioxidant (EGCG) found within green tea is more potent than vitamins C and E.
Nutrient P properties are also found in green tea. They are a very important substance that enhance the effects, improve, and protect vitamin C. Both vitamins work together to maintain collagen protein and combine both their strengths for many other functions. Green tea nutrients slow down aging by neutralizing and deactivating free radicals which can cause depletion of our bodies natural collagen and elastin synthesis. Eliminating cell and tissue damages caused by free radicals will help ward off lines and wrinkles from forming and promote healthier skin. Topical green tea has been shown to reduce sun damage by inhibiting free radicals. Damage done by exposure to harmful UV rays is the one most leading cause of premature aging and skin cancer. The potent antioxidant properties found in green tea will help enhance sunscreen effectiveness when applied in conjunction with your regular sunblock product. Green tea products formulated to treat or protect your skin from aging will help provide proper hydration and cell rejuvenation to improve suppleness and smoothness and nourish cells to help reclaim our youthful appearance. The abundant antioxidants in green tea may also help delay wrinkle formation as well as improve existing lines, wrinkles and sagging. 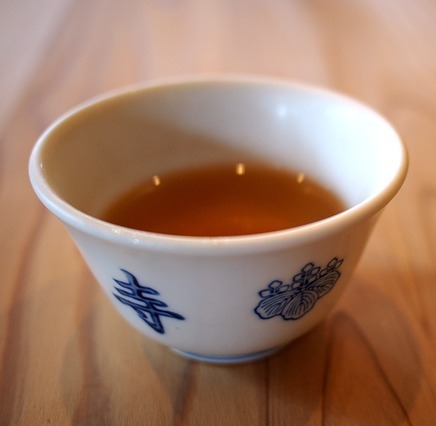 Tip- Green tea should only be steeped for 2 minutes for the most flavorful and beneficial cup. After drinking the tea, save a few tea bags and place in cold water. After cleansing your face, splash on the tea water as a toner and allow the ingredients to absorb into your skin. Green tea facial mask tip- Save your morning tea bag. Empty the contents of the bag into a container and add enough honey to make a paste. Apply mixture to your face and leave on for 10-15 minutes. Rinse well. Green tea also has a powerful anti-inflammatory effect that works well for comforting sensitive types. Skin conditions that are caused by inflammation will benefit from the calming action from green tea. It will help soothe and heal stressed skin and help reduce signs of redness, irritation and discomfort. Green tea has been shown to be highly beneficial to acne prevention because of its potent anti-inflammatory properties. Green tea ingredients are also very useful for exfoliation. Exfoliating helps keep pores free of excess dead cells and oil buildup and block blemishes from forming. Green tea contains tannins which give it astringent properties. The natural antiseptic properties is very effective in reducing inflammation, treating acne blemishes, reducing bacterial infections, and soothe irritated, sensitive skin. Tip: After enjoying your cup of tea – save the tea bag and place on your acne spots for 10- 15 minutes to help draw out toxins, reduce inflammation and cool and soothe. It’s also an excellent treatment for swollen eyes, under eye bags, and dark circles. Green tea skincare products can provide for the beauty and health of your complexion.